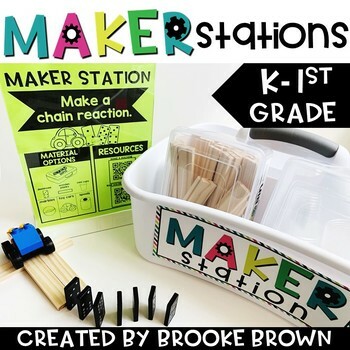 Looking for an Elementary Makerspace without the SPACE?! Maker Stations provide targeted design thinking and space-saving solutions for elementary classrooms and media centers. They allow for a creative Makerspace atmosphere, emphasizing skills in engineering, art, math, science, technology, and music. 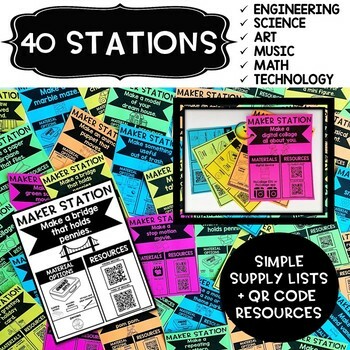 40 Maker Station options are provided with supply lists, instructions, QR code resources, and student planning/reflection templates. Common arts and crafts materials and STEM Bins are suggested for each station and can fit inside a large utility caddy. App extensions are provided for students to share and present creations. “Ask an Expert” table tents are also provided to encourage peer coaching. 1) WEEKLY MAKER STATION: Groups of 2-4 students visit the Maker Station weekly on a schedule of your choosing. (i.e. 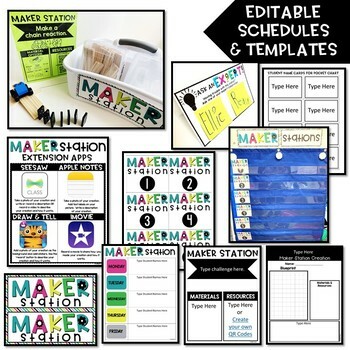 one group each day) Students will need approximately 30 minutes to fully complete a Maker Station. You may use the provided scheduling options in the separate file to track daily rotations. 2) MULTIPLE MAKER STATIONS: Up to six Maker Stations set up at once, with small groups of 3-4 students rotating through each station. If you choose this option, I recommend using the editable schedule cards (separate file) in a pocket chart to track rotations. 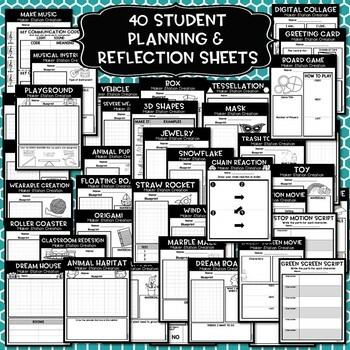 3) WHOLE CLASS MAKER STATION: Project one Maker Station and provide materials for the class to complete together. quarter-sized (available in separate file). Put 4-6 cards on a ring for students to complete during Makerspace time. ⇒I'd LOVE to connect with you!